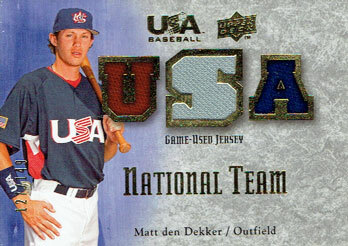 New York Mets prospect Matt den Dekker played for the United States in the 2008 World University Baseball Championship before he was drafted. The U.S. team defeated Japan to win its third title in four tournaments. Den Dekker appears to be slated for Triple-A Las Vegas in 2014, given the abundance of veteran outfielders on the Mets’ roster. He made his major league debut last August, but enjoyed limited success at that level. Previous Post What kind of team are the 2014 New York Mets?